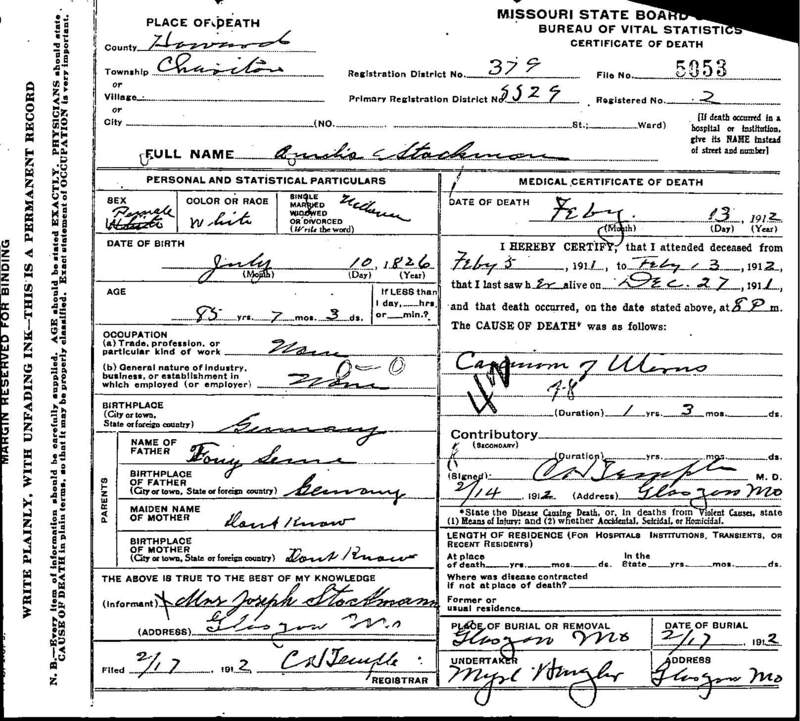 "Death Record - Amelia Semick"
Death location: Chariton Township, Howard County, Missouri. Burial location: Glasgow, Howard County, Missouri. The death certificate says Amelia Semick was born in Germany, but it's known she was born in Aalst, Belgium.